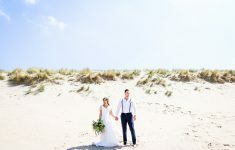 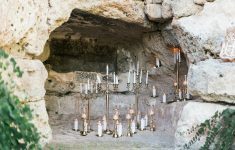 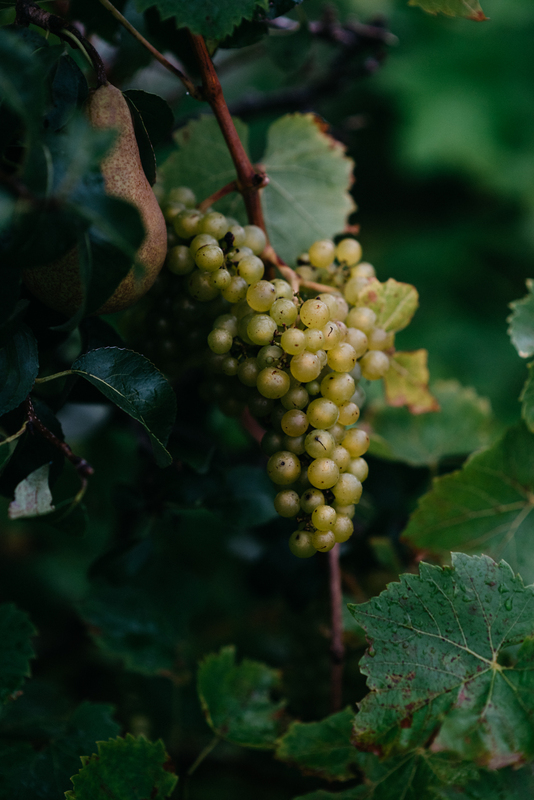 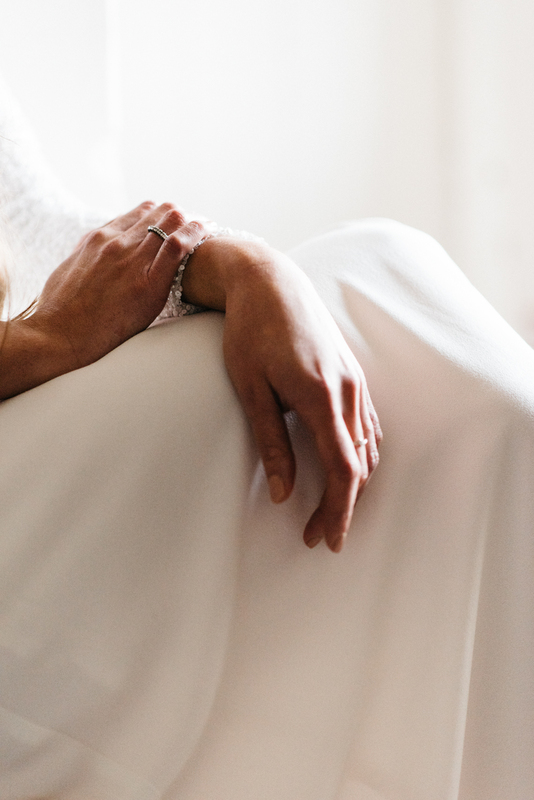 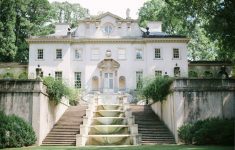 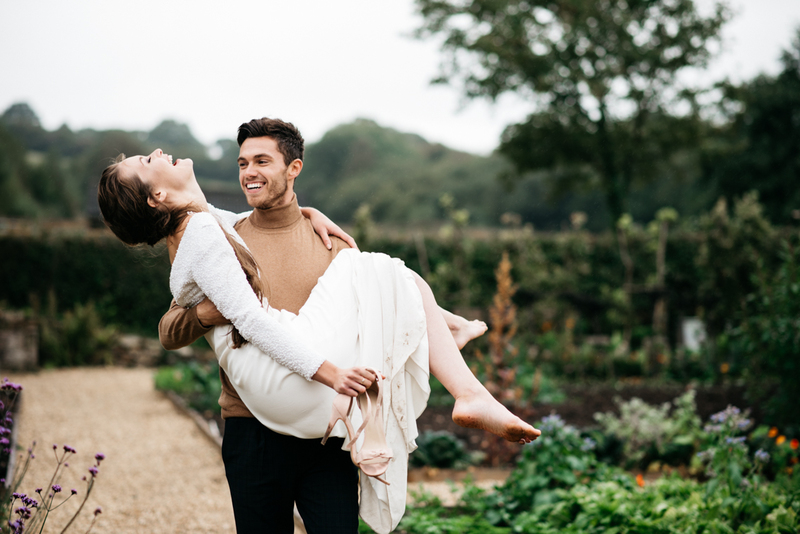 We so often think of elopements being abroad but you can actually enjoy a beautiful intimate wedding much closer to home, either in a spectacular city location or a rural delight! 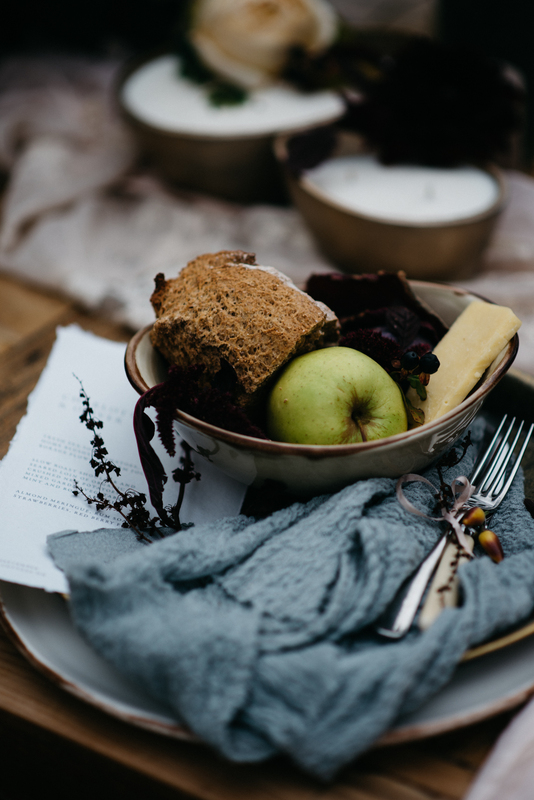 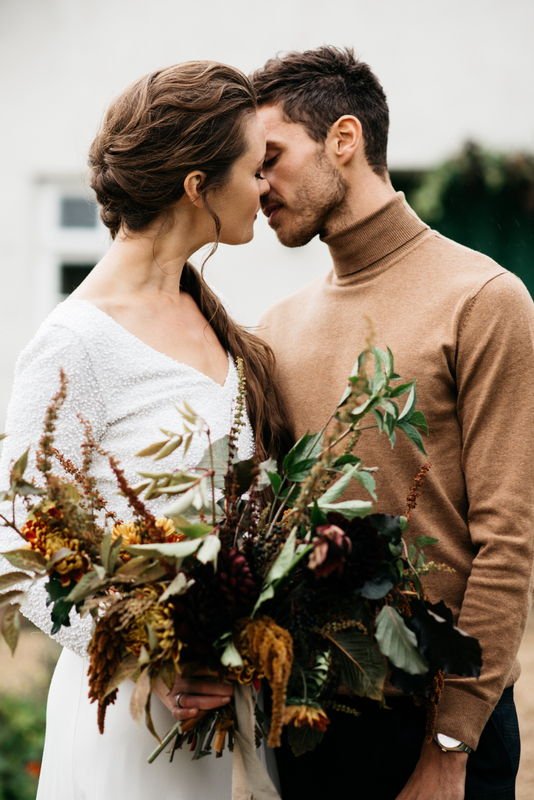 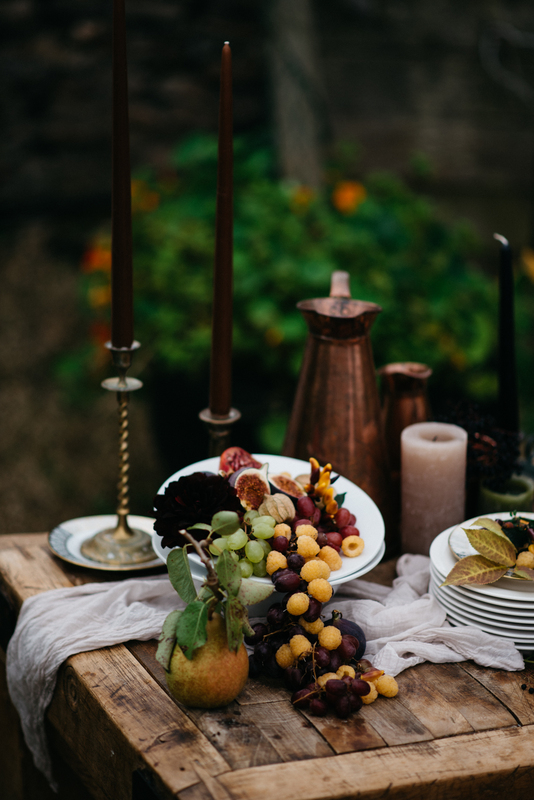 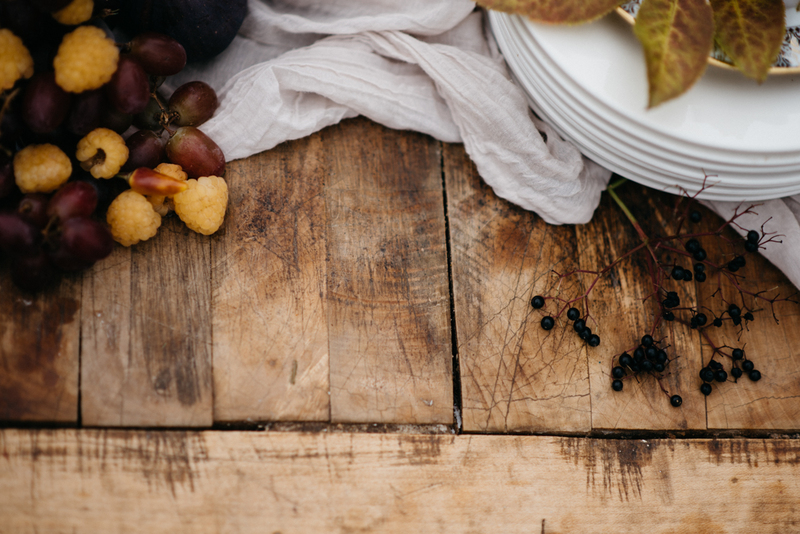 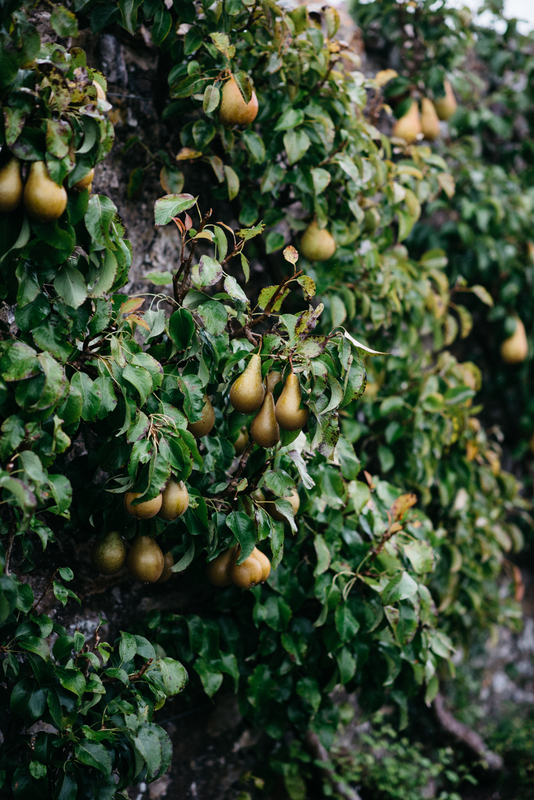 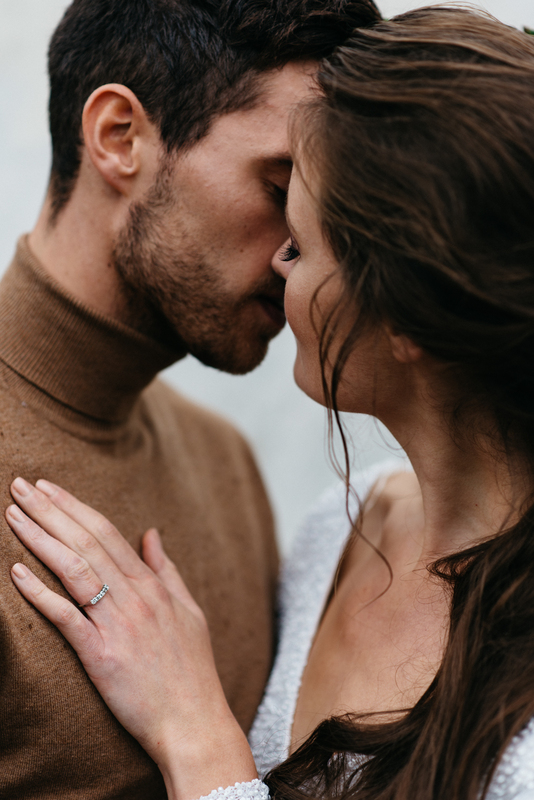 Today’s inspiration from Sophia Veres Photography and The Styling Farm is Autumnal bliss! 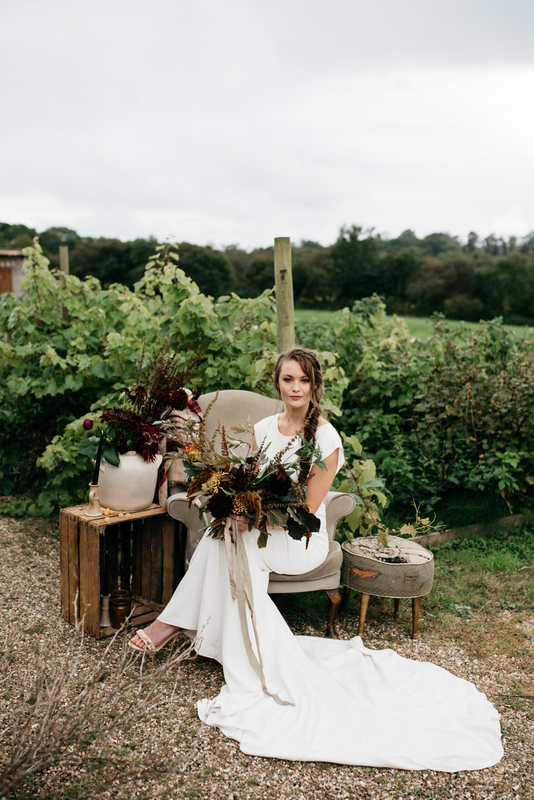 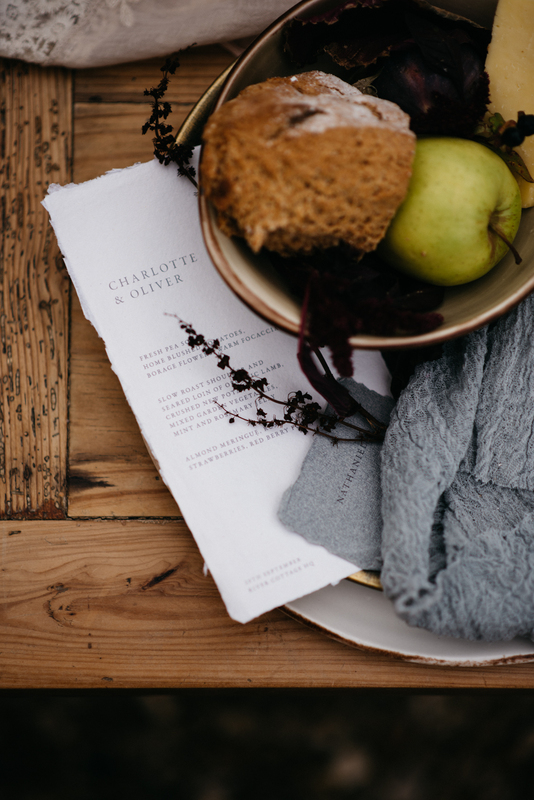 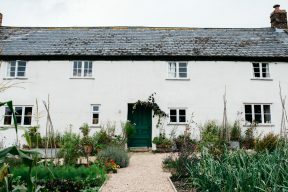 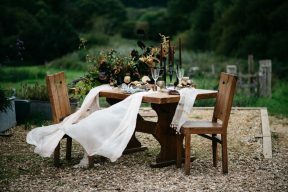 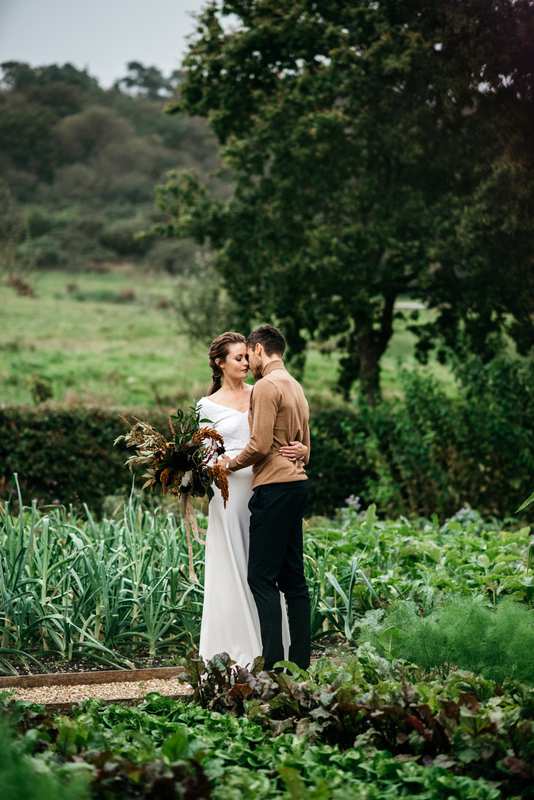 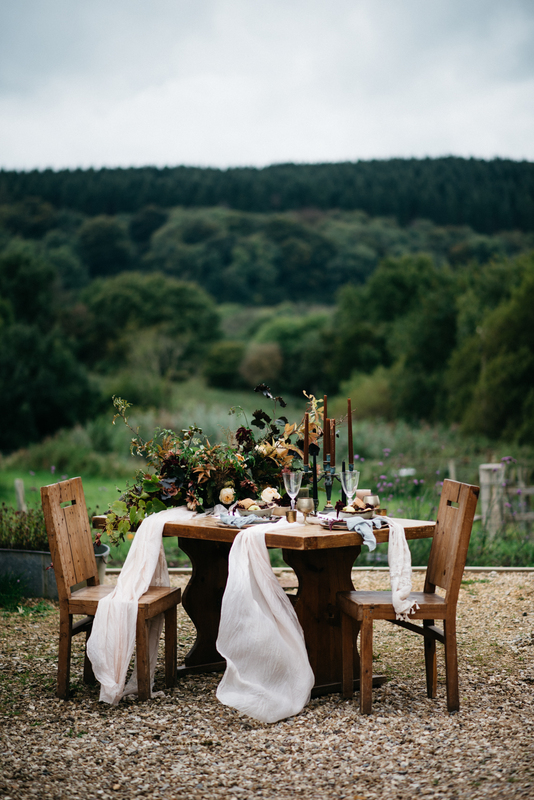 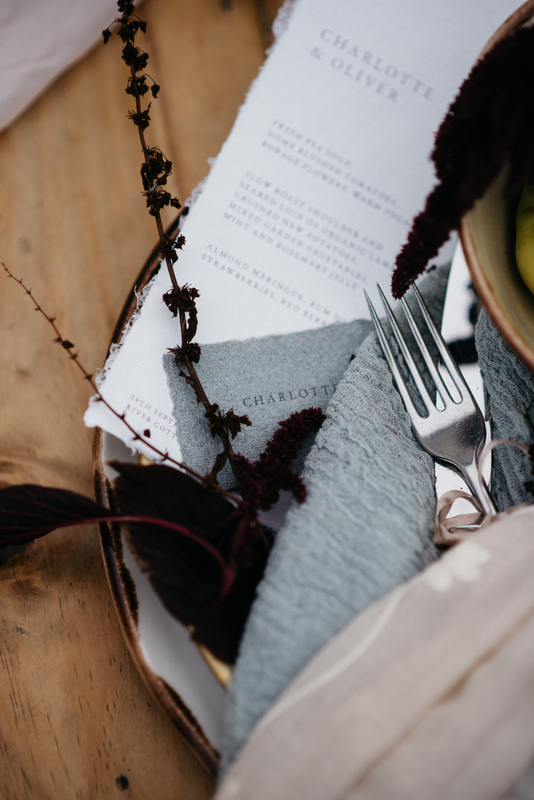 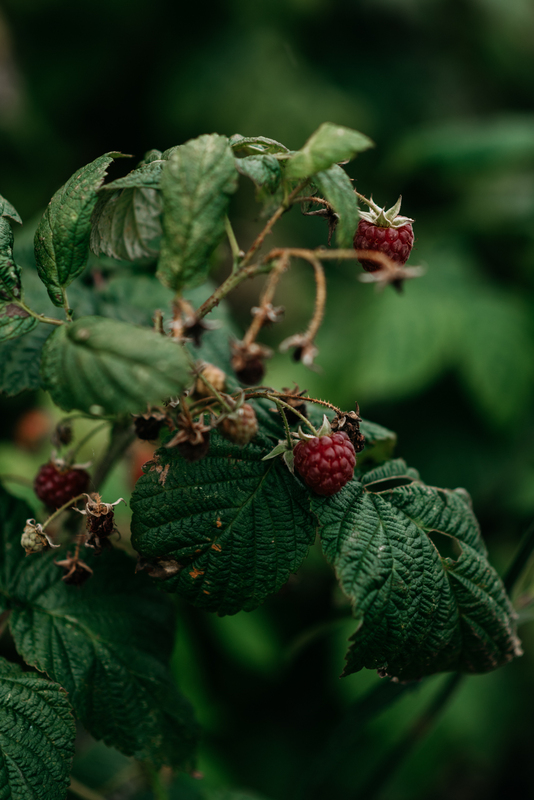 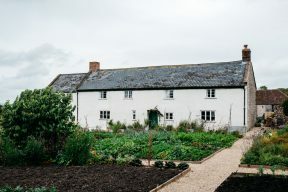 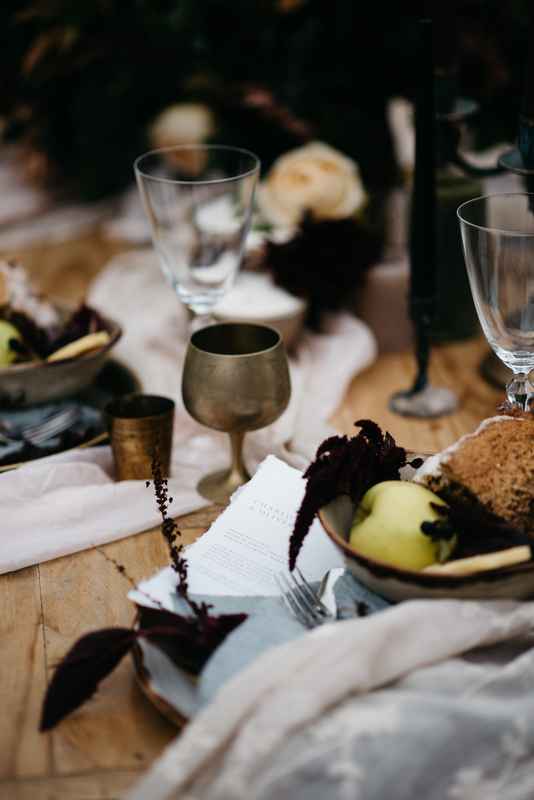 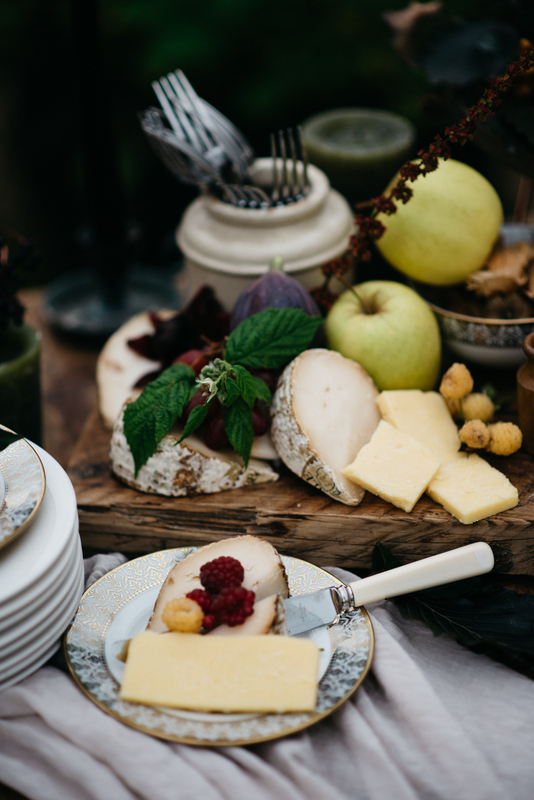 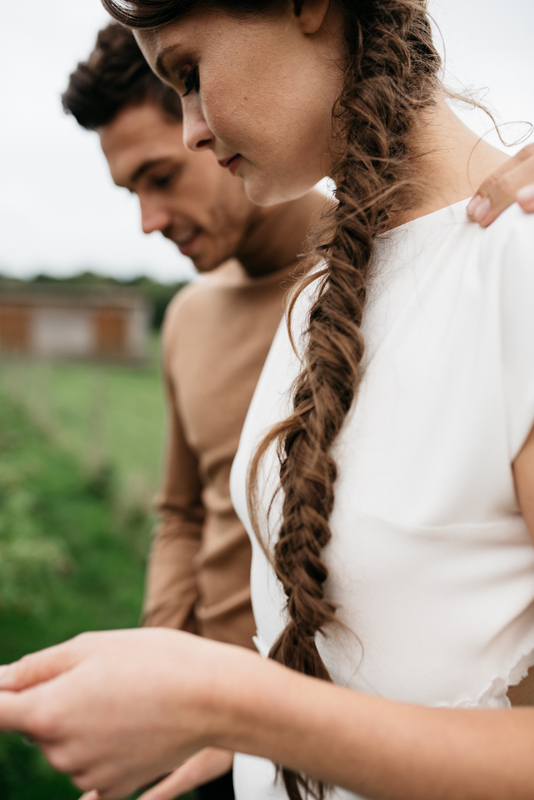 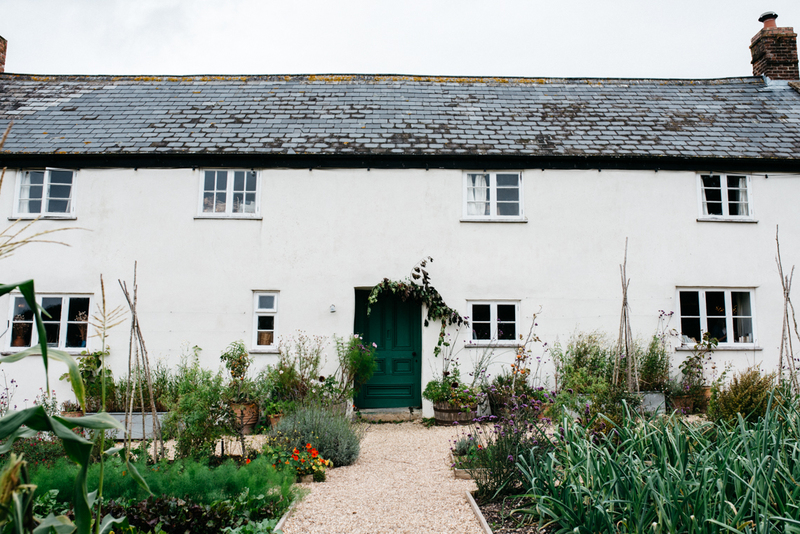 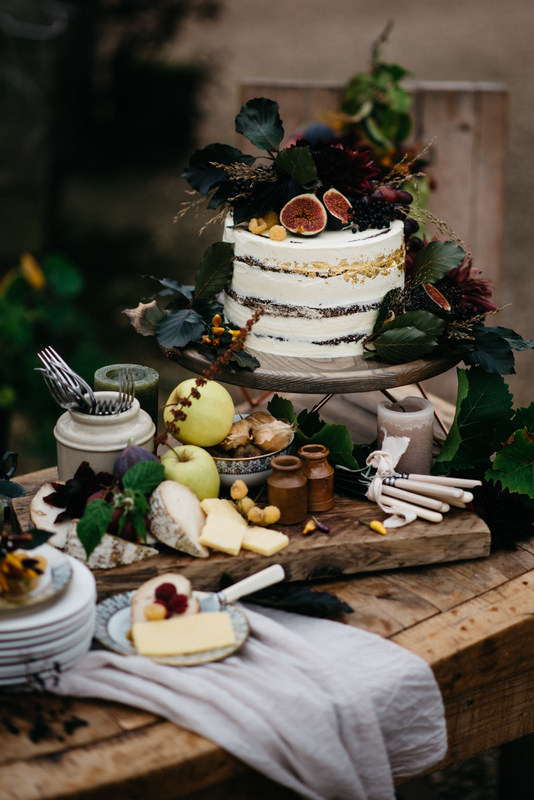 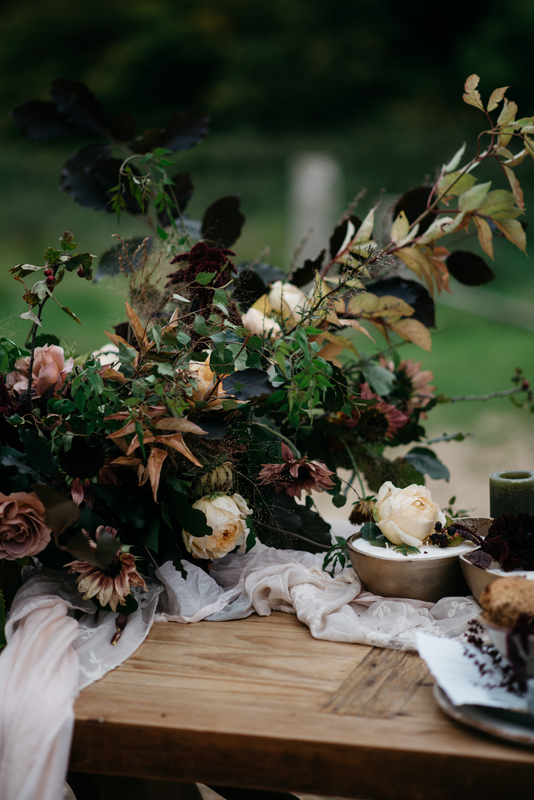 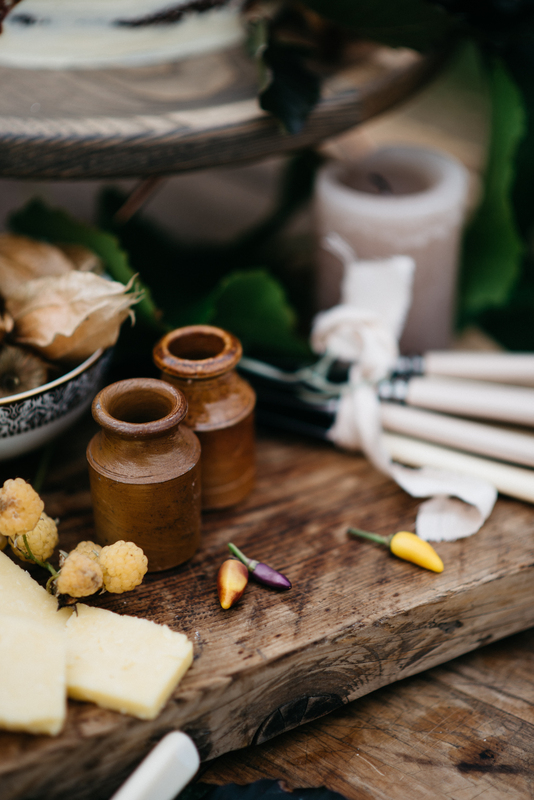 As part of the Nicola Dixon Photography workshop, this fabulous team of suppliers gathered to create a heartfelt rustic essence with an organic edge and a celebration of the English Countryside! 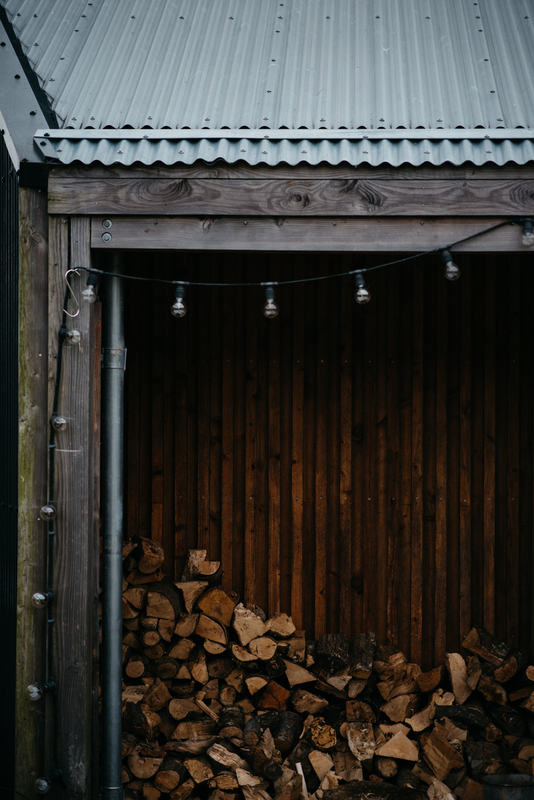 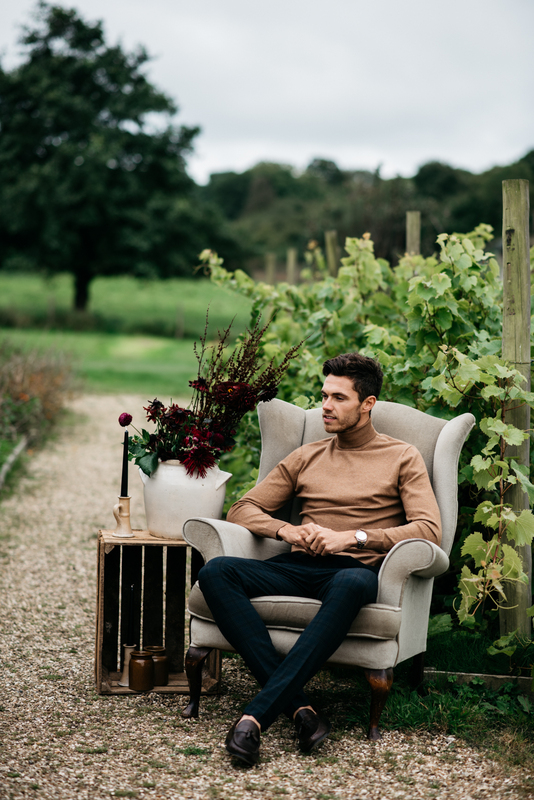 Embracing the natural colours of the cottage and its scenery at this time of year, and the lovely wooden accents , we see a palette infused with burnt oranges through to caramel and tan tones and hints of deep burgundy. We love the artistic bouquet by Firenza Floral Design brimming with each of these colours and sprigs of leaves! 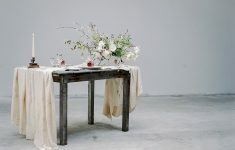 The centrepiece follows the same look, adorned with cream roses and truly makes the intimate table setting! Another key note for this shoot is the style choices of both the Bride and Groom! Both are fashion forward, chic and have personality. 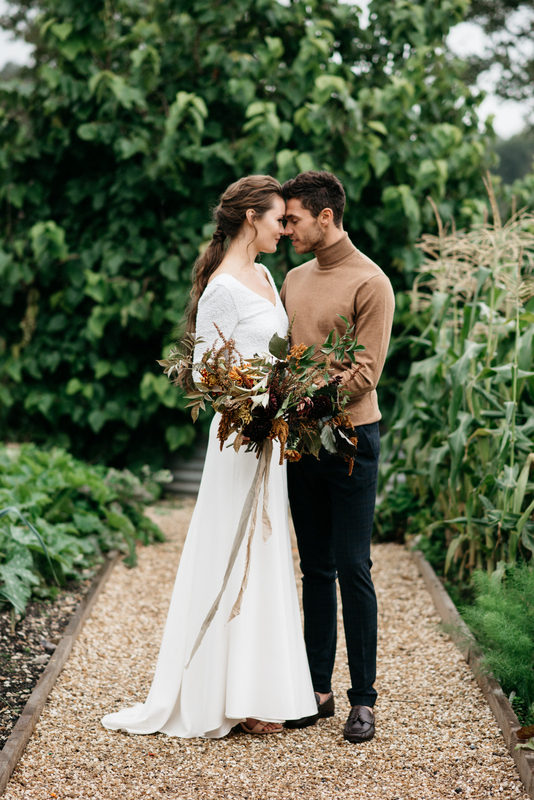 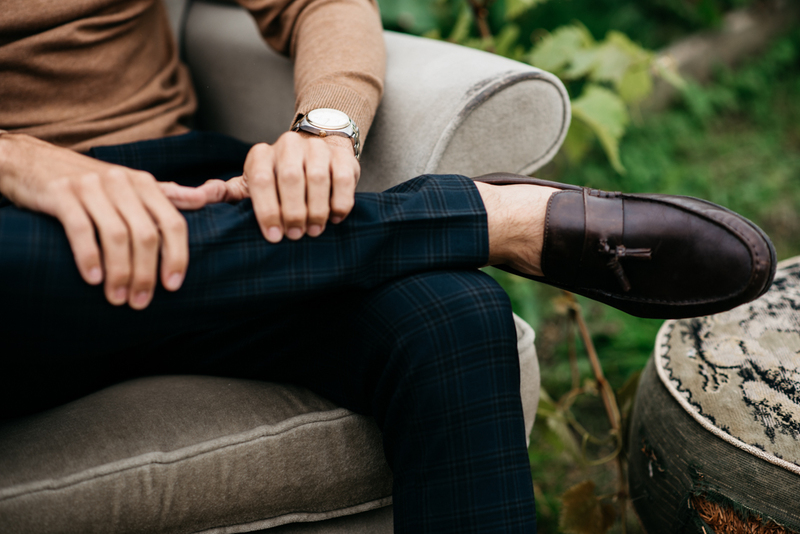 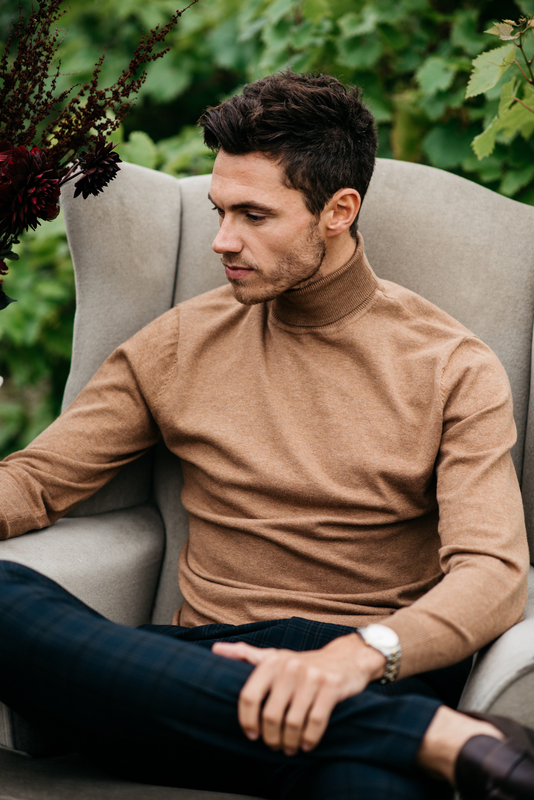 We rather look the Groom’s look of checked trousers with leather loafers and an amazing tan knitted poo neck. 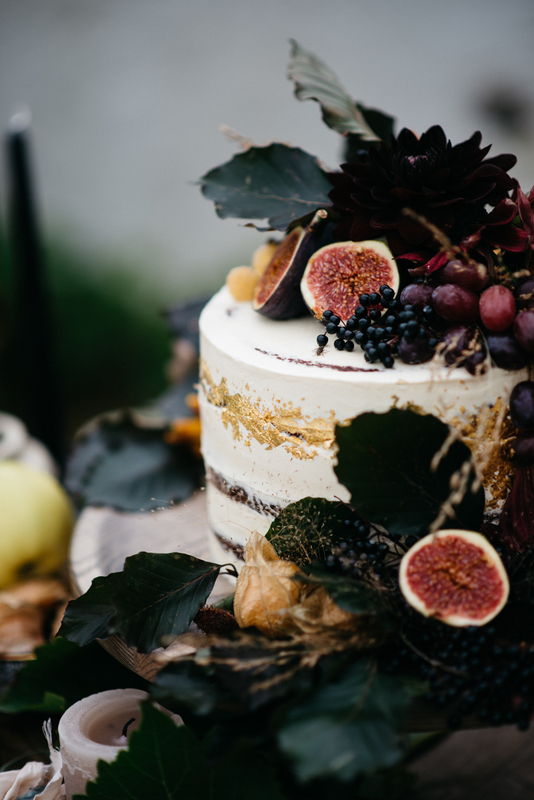 It’s a dapper statement and something really different but suits the entire feel of the wedding and also it’s colour palette! 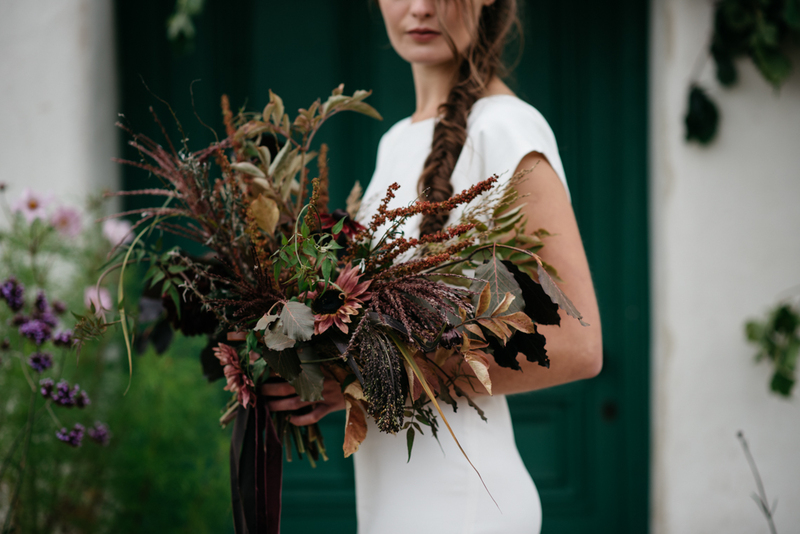 The Bride has two looks and we adore each of them! 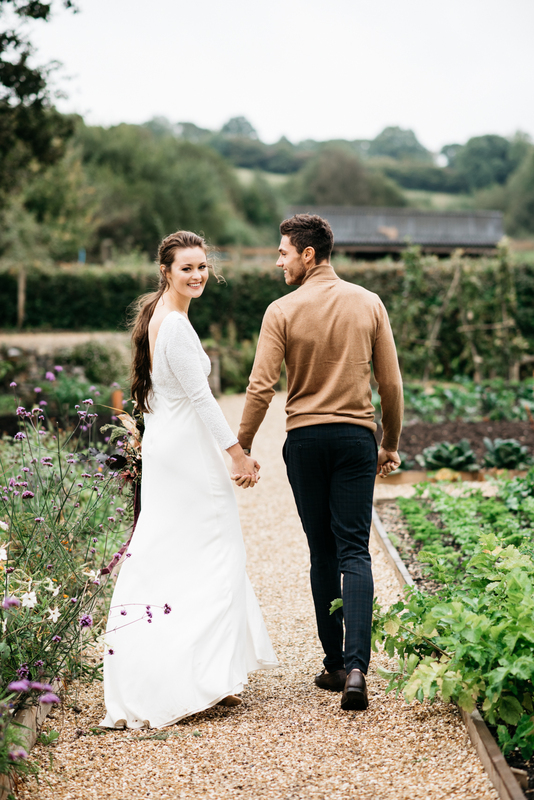 First there is the Ava gown by Cherry Williams London, a long sleeved sequin detailed dress with silk skirt, high split and is tres chic! 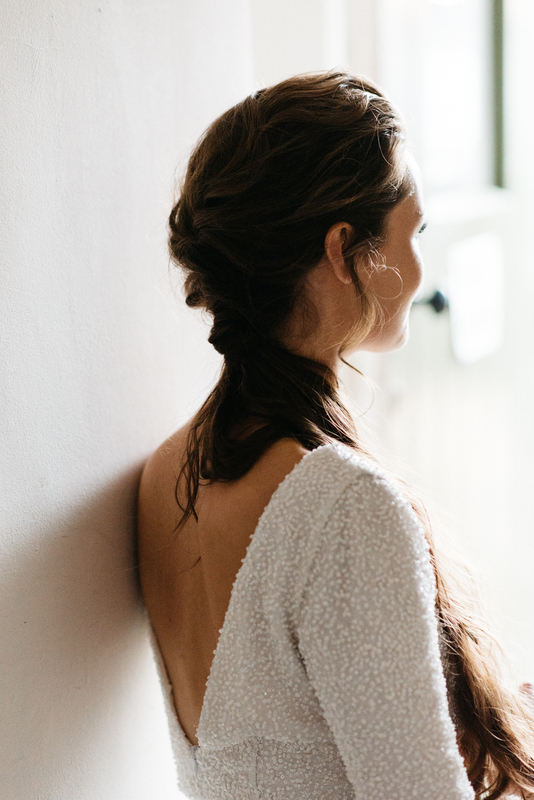 They styled this with a loose french braid with a ponytail of loose curls and minimal accessories. 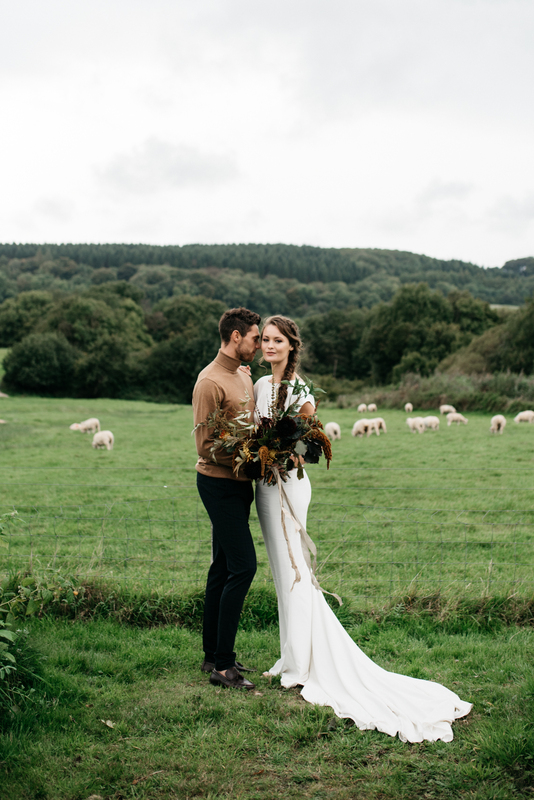 The second look is the Audrey gown by Cherry Williams London with a fabulous silhouette and long train. 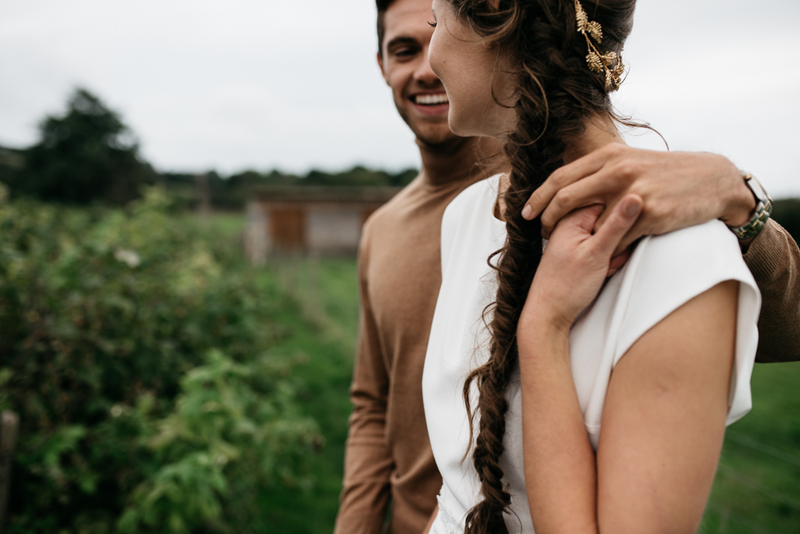 It’s open back is trimmed with beautiful applique and the team styled this with a fashionable fishtail braided hair – a bridal hairstyle I can’t get enough of right now! 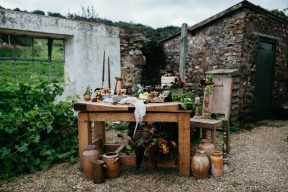 Organisation + Workshop: Nicola Dixon Photography Co.